I’m just back from my second trip out this winter, this time with Dale - the plumber here ar Rothera. We had a veryvariedweek in terms of weather, from blue skies and sunshine to 50knot winds with lots of fresh snow. We left Rothera early on Sunday morning soon to be met with zero visibility and high winds. Out came the bothy bag and we sat tight for about an hour until the weather improved enough for us to continue. We made good progress over the next hour or so before the weather deteriorated yet again. This became the theme for much of the day - stop, start, stop, start…we finally made it to our intended destination beneath the Myth at around 1500. We set up camp and got an early night as the forecast for Monday was looking good! We woke to stunning weather on Monday…blue skies, sunshine and not too much wind - perfect! We opted for a route called Pinnacle ridge on the Myth, a 600m alpine ridge of AD standard. We arrived at the summit at around 1400 and enjoyed views over the the Unclimbed West face of the Legend before descending via the NW ridge of the Myth. Unfortunately there was no improvement to the weather on Thursday and we spent most of the day held up in the tent. By late afternoon things had brightened up enough for us to go for a short ski tour. We headed back to the base of pinnacle ridge to stretch our legs and have a look around. We all felt better for a bit of fresh air and it was good to make the most of the brief break in the weather as Friday proved to be another day of lie-up in the tent. At this point it was looking doubtful as to wether or not we would make it back to base on Saturday but luckily we were greeted with perfect weather on Saturday morning. Eager to make the most of the nice conditions we packed up camp first thing and began the journey back round to the East of the island. 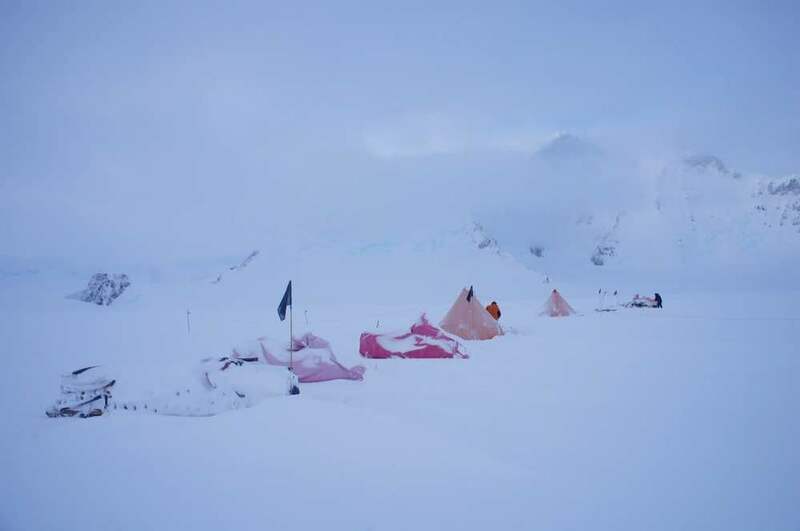 With all the fresh snow from the previous few days driving conditions were not ideal and progress was relatively slow but we managed to make it to Trident at 1430 giving us enough time for a quick climb before heading back to Rothera. We chose a nice little gully about 150m long which was about Scottish grade II and we made a slight variation at the top through some steeper mixed ground (III or there abouts). It was another great week of work in Antarctica, not the best weather but I was pleased with how much we had managed to get done considering. I’m back out in another weeks time with Tim the electrician and as daylight hours are starting to reduce we will probably spend the week exploring the East side of the Island to cut down on time spent driving. 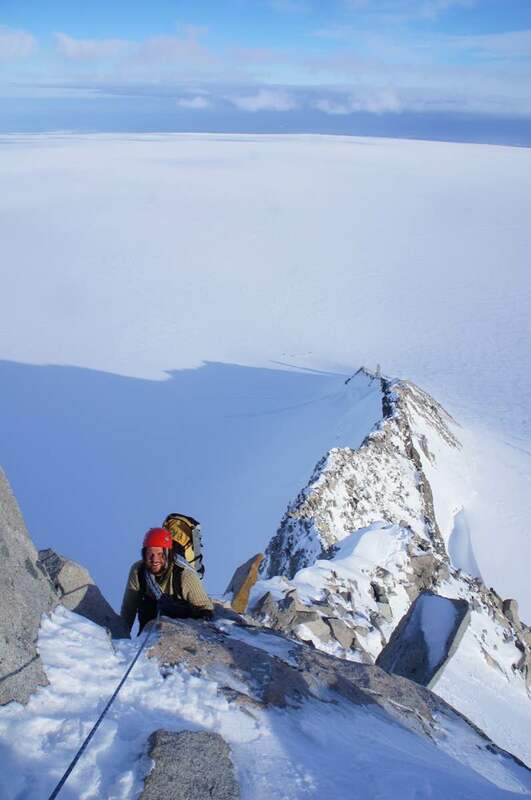 Older PostSunday Cragging in Antarctica!